Viewed from space, the Earth is a glistening, opalescent marble flecked with highlights of white, ultramarine, emerald, and gold. Unmarked by visible borders or ideological boundaries, it’s the sole planet in the universe known to support life. To put it another way, it’s home, and the only one we’ve got. It’s in that spirit that Slow Factory, a New York City firm that turns public-domain NASA satellite and telescope images into statement-making scarves, created its “We Are Home” line. 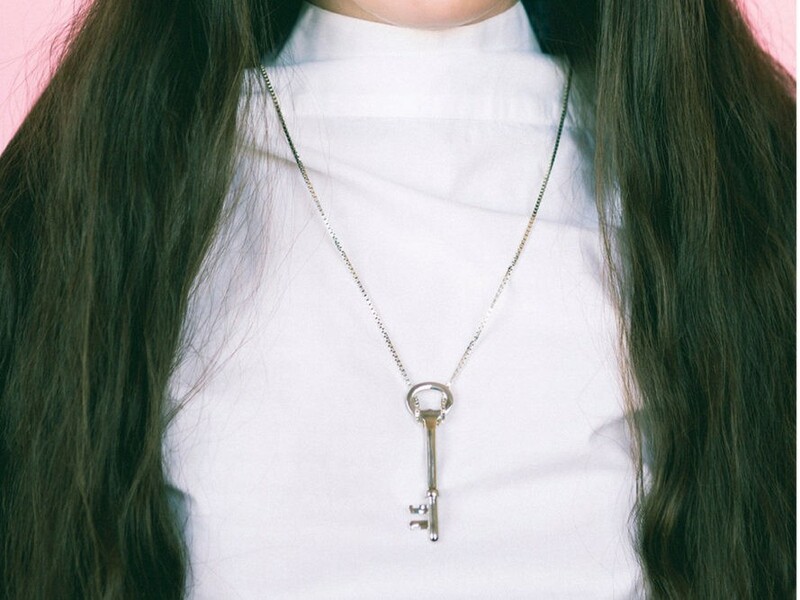 Inspired by the worst refugee crisis since World War II, Slow Factory founder Celine Semaan Vernon designed a necklace based on a mold of her family’s house key, one of many the itinerant clan would possess over the years. Each pendant is crafted from white gold in Vernon’s native Beirut in Lebanon, where millions of asylum seekers have arrived on the wings of war, poverty, and famine. “The world headlines parade millions of refugees as faceless, nameless people in need of shelter, but here they have a face,” says American Near East Refugee Aid, a nonprofit organization dedicated to improving the lives of Palestinian refugees in Gaza, the West Bank, and Lebanon, as well as the recipient of Slow Factory’s largesse. For every $150 key and chain purchased, ANERA will receive $15 to provide migrants with the vocational skills they need for employment in their adopted land. There are also Slow Factory’s signature scarves, including one that features Earth’s first full-face color portrait from 1967. Viewed from space, the Earth is a glistening, opalescent marble flecked with highlights of white, ultramarine, emerald, and gold. Unmarked by visible borders or ideological boundaries, it's the sole planet in the universe known to support life. To put it another way, it's home, and the only one we've got. 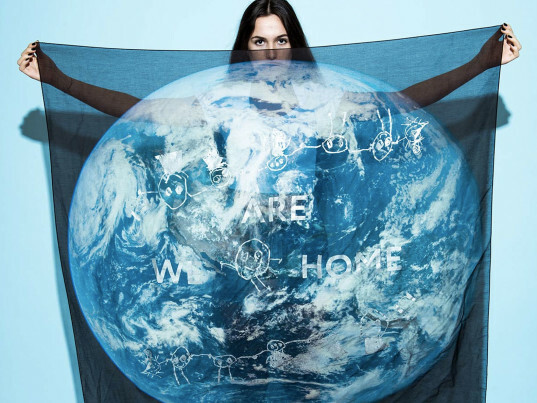 It's in that spirit that Slow Factory, a New York City firm that turns public-domain NASA satellite and telescope images into statement-making scarves, created its "We Are Home" line. Inspired by the worst refugee crisis since World War II, Slow Factory founder Celine Semaan Vernon designed a necklace based on a mold of her family's house key, one of many the itinerant clan would possess over the years. Each pendant is crafted from white gold in Vernon's native Beirut in Lebanon, where millions of asylum seekers have arrived on the wings of war, poverty, and famine.